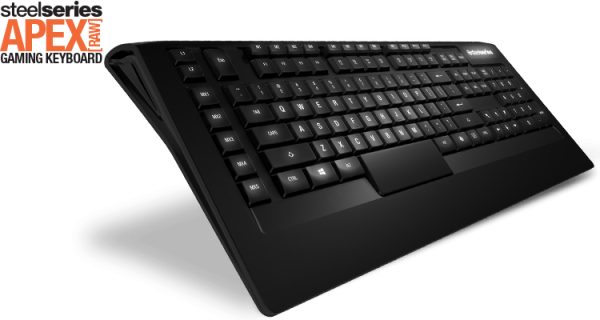 Apex 300 delivers the essential features from our popular Apex keyboard giving you the keys to victory. The fast, low profile keys allow you to react quickly and make tactical key presses. 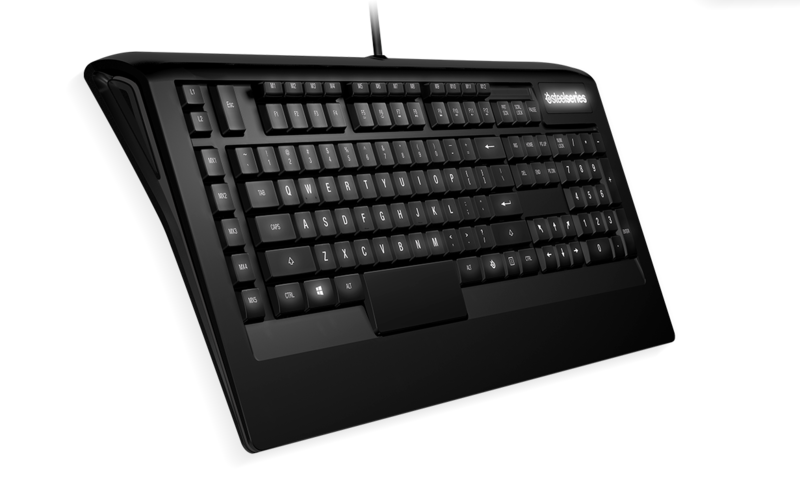 The SteelSeries Engine 3 configuration suite is the key to unlocking the power of your Apex 300, including macros, custom profiles and lighting options. 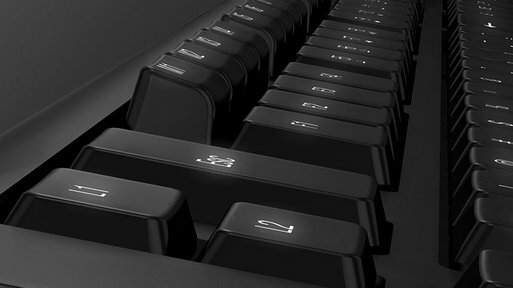 The ultra-modern keyboard design is lit by vivid white illumination, giving you the competitive advantage during night gaming. 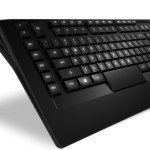 The SteelSeries Apex 300 gaming keyboards support anti-ghosting for 20 keys located in the most-used gaming areas on the keyboard. 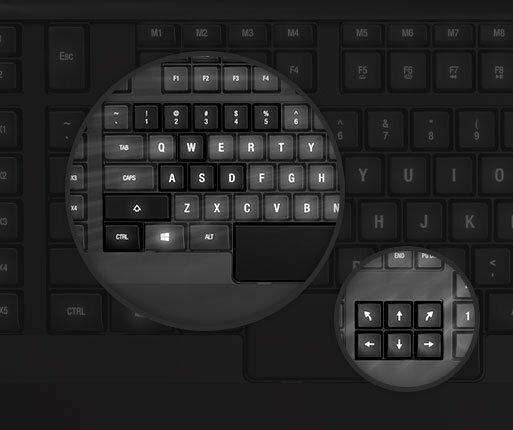 Out of these 20 capable keys, users can press up to 6 of them simultaneously, allowing those key presses to register without locking the keyboard. 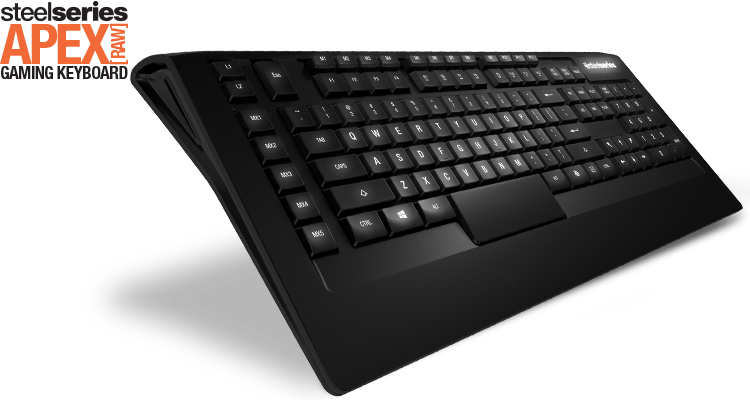 SteelSeries has chosen 20 of the most commonly used keys in games in the anti-ghost key list: 1, 2, 3, 4, 5, Q, W, E, R, A, S, D, F, Left-Ctrl, Left Shift, Space bar, 4 arrow keys. Tactile bumps on the W-key make it easy to feel your way back to WASD as quickly as possible in game and out. We included various extra keys to give you total control over your Apex gaming experience. Media and volume controls are available through a modifier key. Two extra arrow keys make angled movement easier. 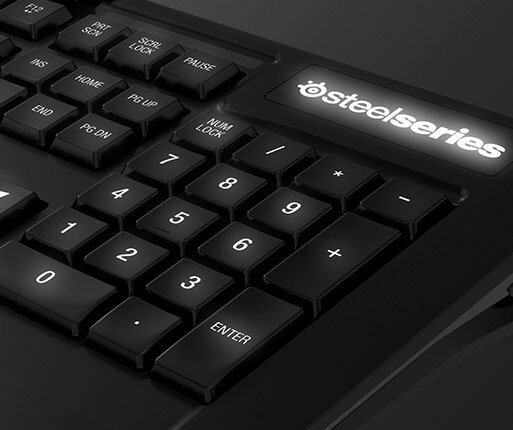 SteelSeries Engine 3 is the key to custom mapping your Apex 300 buttons, creating game-specific profiles, unlimited macros and more. 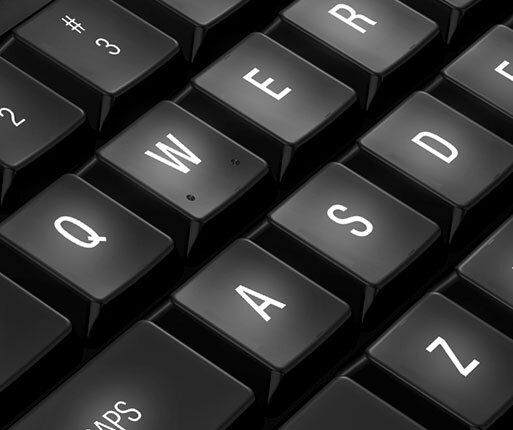 Personalize your keyboard to perfection. 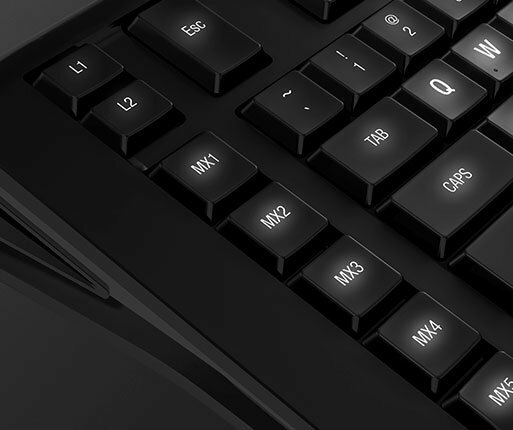 Apex 300 packs in 17 extra macro keys for even more possibilities. 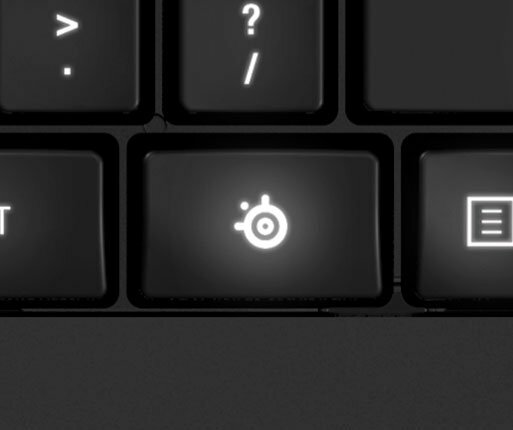 SteelSeries Engine 3 allows you to create macros on the fly for those extra keys. 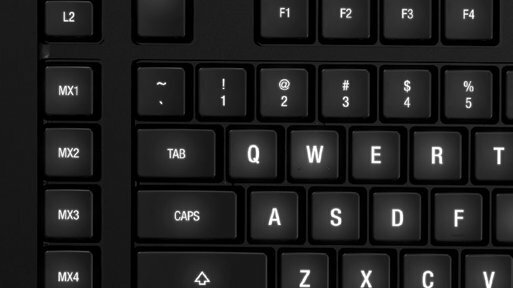 The extra macro keys at the top of the keyboard are slightly raised for fast combinations between them and the F-keys. Apex 300 features brilliant white illumination with eight different intensity levels that are simple to customize. Whether you are night-gaming or switching between custom profiles with different intensities, your Apex 300 has the perfect level of illumination for you. 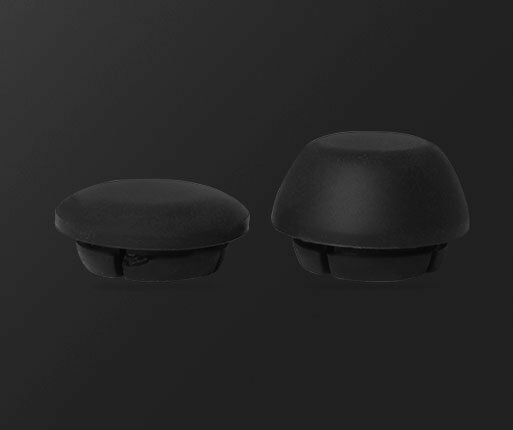 We packed in two different sets of feet with your Apex 300 giving you a choice of angles between 7° and 10°, to help you get just the right fit. 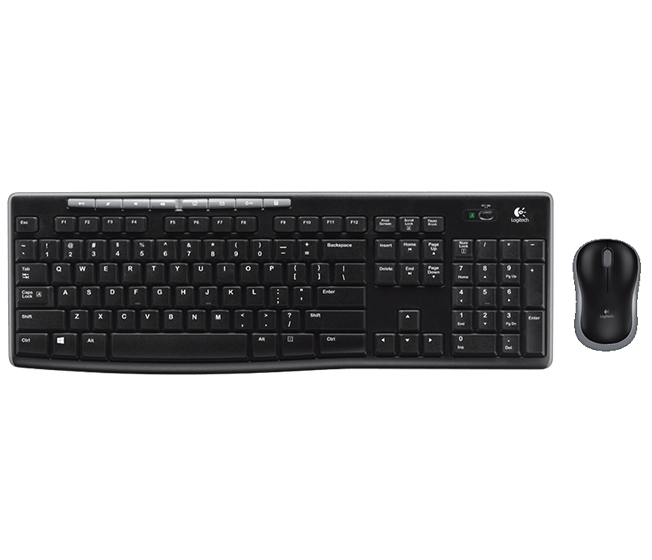 The exclusive SteelSeries key makes it easy to disable the Windows® key so it doesn’t interfere with your gaming. 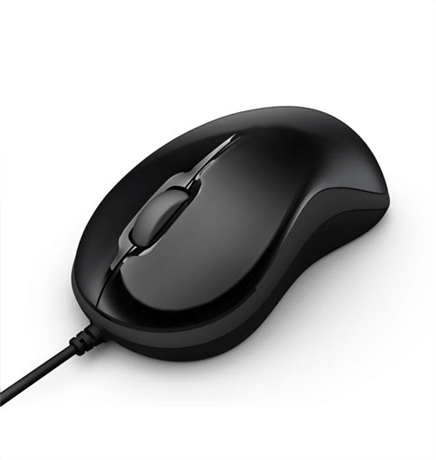 Simply hold down the SteelSeries key and tap the Windows key.